Huawei has launched it's flagship phones Huawei P20 and P20 Pro just before some days. After the launch of the high-end smartphones, Huawei should've surely thought of a group of budget phones. 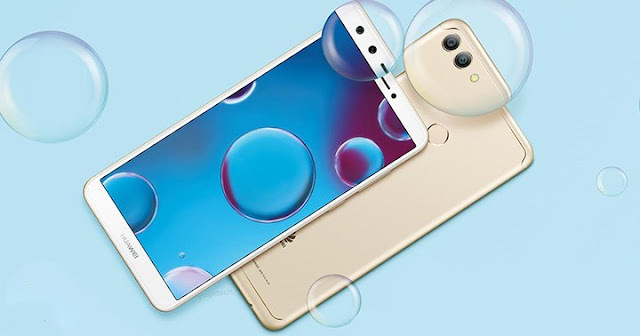 And just according to that, Huawei has recently launched a group of mid-range smartphones naming them the Huawei Enjoy 8, 8 Plus and 8e in China. In respect to that update, here are all the main specifications and features of all the three smartphones. The new Huawei Enjoy 8 features a 5.99-inch LCD display with a resolution of 720×1440 pixels and 18:9 aspect ratio. The phone comes with Android Oreo operating system. Under the hood, it is powered by a 1.4GHz Qualcomm Snapdragon 430 octa-core processor. The storage features of the smartphone include 3GB/4GB of RAM and 32GB/64GB of internal memory which is expandable via MicroSD. The handset packs dual 13MP+2MP cameras along with an LED flash at the rear and an 8-megapixel front-facing camera. The device runs by a 3000 mAh battery. The dimensions of the phone are 158.3×76.7×7.8mm and it weighs 155 grams. The phone supports dual nano sims, 4G, Bluetooth, Wi-Fi, GPS, etc. The sensors of the smartphone include accelerometer, proximity, gyroscope, etc. and a fingerprint scanner at the back. Coming to the price details of the device, the 3GB RAM variant costs Yuan 1,299 or Rs.13,499 (approx.) and the 4GB RAM variant has a price tag of Yuan 1,499 or Rs.15,499 (approx.). The big bro Huawei Enjoy 8 Plus features a 5.93-inch LCD display with a resolution of 1080×2160 pixels and 18:9 aspect ratio. The phone comes with Android Oreo operating system. It is powered by a 2.36GHz Kirin 659 octa-core processor. The smartphone comes with 4GB of RAM and 64GB/128GB of internal storage. Coming to the cameras, the handset packs dual 13MP+2MP rear cameras coupled with an LED flash and dual 16MP+2MP front-facing cameras which supports AR features. When it comes to battery, the device works by a 4000 mAh battery. The dimensions of the phone are 157.2×75.3×7.89mm and it weighs 170 grams. Additionally, it supports Dual sim, 4G connectivity, GPS, Bluetooth, Wi-Fi, etc. and comes with all the sensors like accelerometer, proximity, gyroscope and a fingerprint at the back. As far as the price details are concerned, the 64GB version costs Yuan 1,699 or Rs.17,599 (approx.) and the 128GB version comes at a price of Yuan 1,899 or Rs.19,699 (approx.). At last, the Huawei Enjoy 8e features a 5.7-inch LCD display with a resolution of 720×1440 pixels and 18:9 aspect ratio. The device comes with Android Oreo operating system out of the box. It is powered by a 1.4GHz Qualcomm Snapdragon 430 octa-core processor. The smartphone comes with 3GB of RAM and 32GB of internal memory. The handset packs dual 13MP+2MP rear cameras coupled with an LED flashlight and a 5-megapixel front-facing camera. Coming to the battery life, the phone comes runs by a 3000 mAh battery. The dimensions of the smartphone are 152.4×73×7.8mm and it weighs 150 grams. The other features of the phone includes Dual sim support, GPS, Wi-Fi, Bluetooth, etc. and the phone also support the sensors like, accelerometer, proximity, gyroscope and a fingerprint scanner at the rear just like it's brother phones. This phone has a price tag of Yuan 1,099 or we can say Rs.11,399. Finally, I would say that the Huawei’s new Enjoy 8 smartphones are nice and wonderful phones in a mid range price. Eventually, the Enjoy 8 Plus also comes with dual front cameras which is impressive. All the three phones are nice and well featured.